EIFF 2013, thanks for the memories…. Its that time of year again – I’ve said goodbye (or avoided doing so *sniff) to my Edinburgh International Film Festival colleagues and I’m looking forward to the next job, more films and new experiences. EIFF 2013 was such a great success however that I don’t want to let it pass without reflecting on the fantastic films in the programme and personally, the amazing filmmakers I had the privilege to meet. White Epilepsy by Philippe Grandrieux is a challenging, experiential film and the first part of a trilogy of works collectively titled, Unrest. Using the vertical, rather than traditionally, horizontal frame, Grandrieux asks the viewer to think of cinema as an event – dispensing with narrative – instead presenting two bodies, one devouring the other. Our two Q&As were fascinating, with Philippe expressing his distaste for such banal filmmaking devices such as script or shooting schedule and describing the dark nights over which filming took place. Philippe Grandrieux at White Epilepsy Q&A. 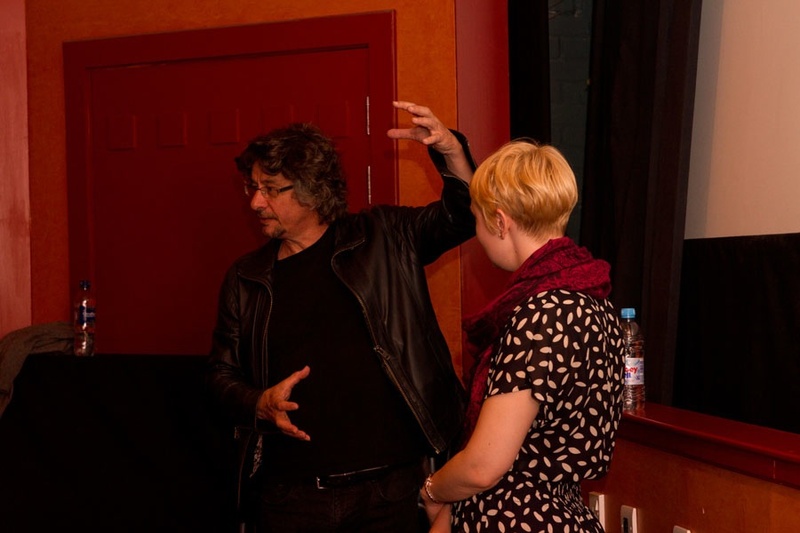 Photography by Shona Wass, courtesy of EIFF. Next came Virginia Gilbert’s A Long Way From Home, starring James Fox, Brenda Fricker, Natalie Dormer and Paul Nichols. The film had its world premier at EIFF on 20th June, but on Saturday 22nd, I had the pleasure of hosting a Q&A with Virginia and Natalie Dormer, who were both intelligent, witty and courageous in the way they shared their experiences of making the film. Virginia Gilbert (centre) and Natalie Dormer (right) at Q&A for A Long Way From Home. Photography by Pako Mera, courtesy of EIFF. The film itself is a very thoughtful and mature piece not only about ageing and desire, but the nature of transitions throughout life, bolstered by excellent performances from the whole cast. The Berlin File by Ryoo Seung-wan is an exciting, brilliantly choreographed espionage thriller, with a complex plot that even its director admitted, is hard to follow. Director Ryoo was an fantastic presence, modestly claiming that his success can only be attributed to the talented crew he continues to work with. 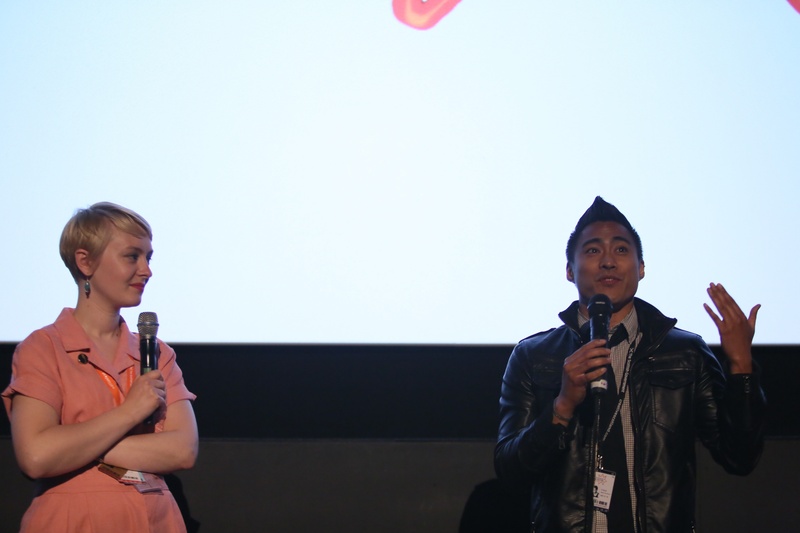 Director Ryoo Seung-wan (centre) and interpreter Jean Noh (right) at Q&A for The Berlin File. 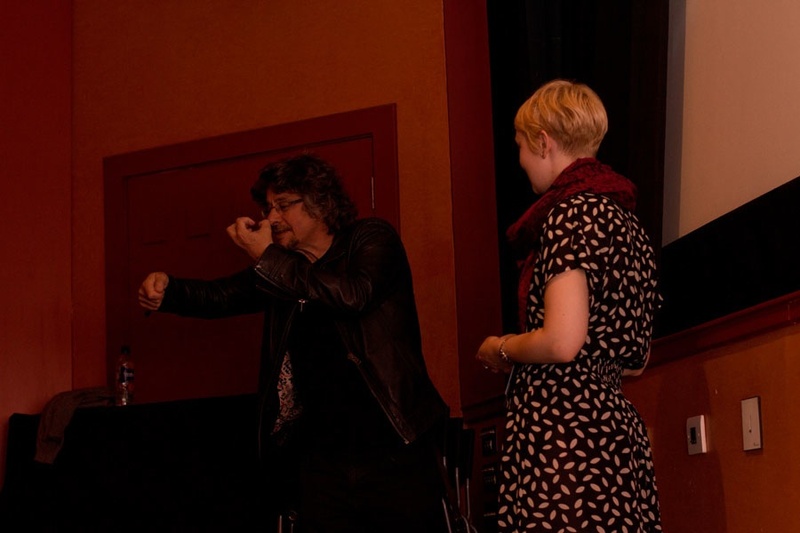 Photography by Shona Wass, courtesy of EIFF. 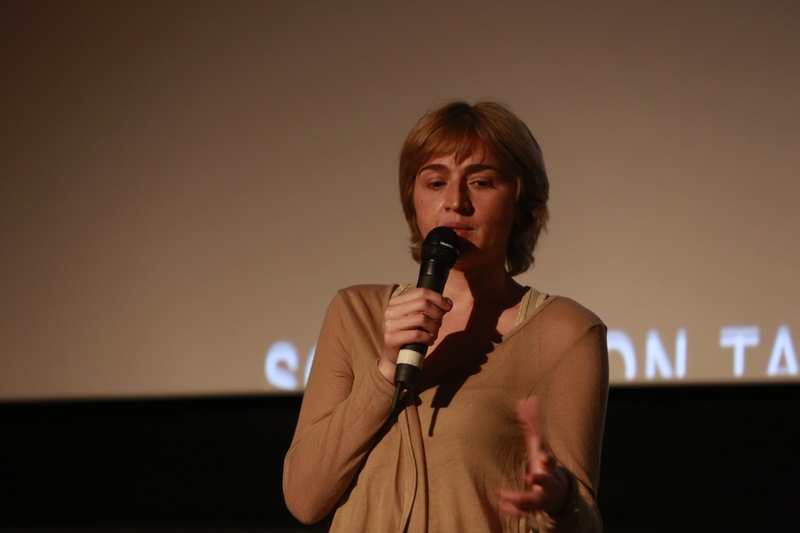 Rusudan Chkonia proved insightful and confident at the Q&A for her film, Keep Smiling – a dark comedy/tragedy about the absurdity of televised talent contests. Rusudan Chkonia at Q&A for Keep Smiling. Photography by Pako Mera courtesy of EIFF. Die Welt is a beautifully inventive exploration of an young, Tunisian man experiencing an identity crisis, where cultural, political and personal themes are brought together with wit and sensitivity by director, Alex Pitstra. Alex Pitstra at Q&A for Die Welt. Photography by Lloyd Smith, courtesy of EIFF. My final Q&A hosting was for Before You Know It by PJ Raval, a stunning portrait of three elder gay men as they face the various challenges of age, illness, family and love. Raval truly committed to his subjects, gaining from them (over the course of three years) total trust to reveal their inner lives, the result being a warm and affectionate tribute to their courage and uniqueness. Audience reaction was overwhelmingly positive, which made it a truly special end to my festival experience. PJ Raval at Q&A for Before You Know It. 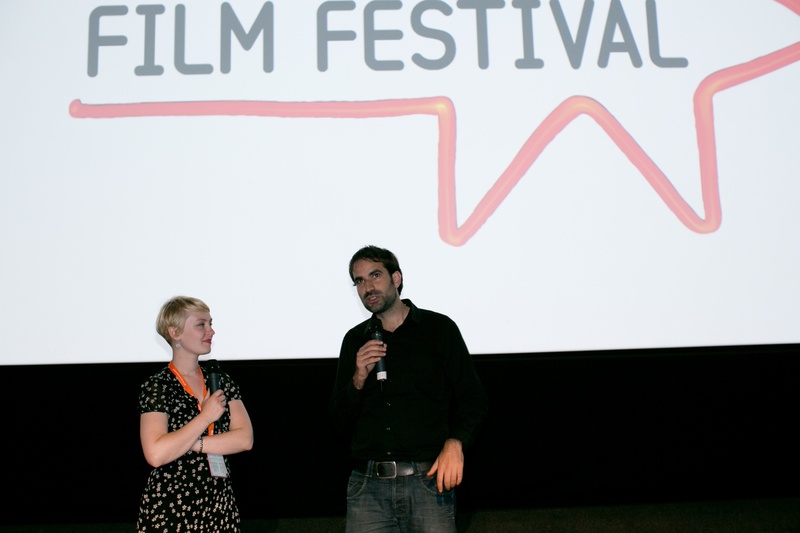 Photography by Lloyd Smith, courtesy of EIFF. If there’s one thing I feel is particularly unique and important about programming film, its that you get the opportunity to be an advocate for the film and its makers, celebrating the successes of the work, even in cases where the whole work might not have achieved its intention. By looking at the elements of a film that are exciting and inventive – showing the ambition inherent in creating new work that pushes the definition of cinema – there is the opportunity to promote and encourage true artists and future masters of their craft.